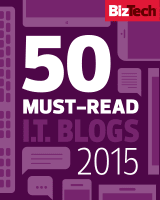 Adventures in Automation: Browser Stats for Adventures in Automation: Whither MS Edge? 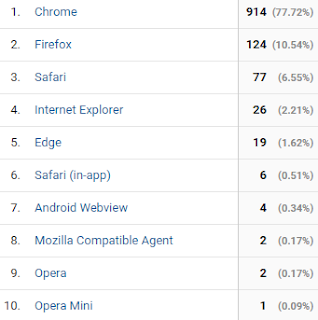 Browser Stats for Adventures in Automation: Whither MS Edge? To me, the most important metric to me is the browser - platform matrix. Since I consider the QA Engineer's primary goal is to operate a web application exactly as the customer base to see everything as they see it, I want to know what browsers and platforms are being used. Google Analytics showed me that from Saturday, October 21st to Friday, October 27th there were 1,176 user sessions. A "session", according to Google, is "the period of time a user is actively engaged in your website, app, etc". I keep on thinking that maybe this week MS Edge usage will grow over time. But, no. It always seems to be Chrome & Firefox which are the top two. They seem to make up 87% of all readers of this blog. Chrome, though I probably won't find many bugs using that browser since that seems to be most developer's favorite browser at the companies I have worked for. 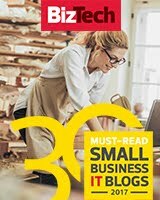 Firefox, a few bugs may creep in, since fewer developers use that. ... I never get a chance to test on MS Edge, usually running out of time. 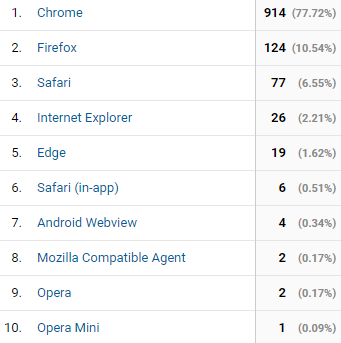 I then get worried, checking the browser stats for the application I am testing on... and I find that it is always around two percent of the population. What ever happened to Microsoft's edge?